Practice the questions given in the worksheet on coordinate point. 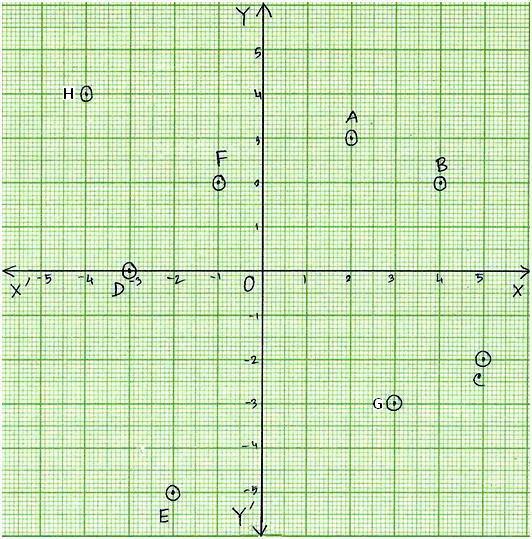 The questions are based on coordinate graph and how to locate the position of a point in a plane. 2. State which of the points lie on x-axis. Give a common reason. 3. State which of the points lie on y-axis. Give a common reason. 4. Mark the following points on the graph. 5. 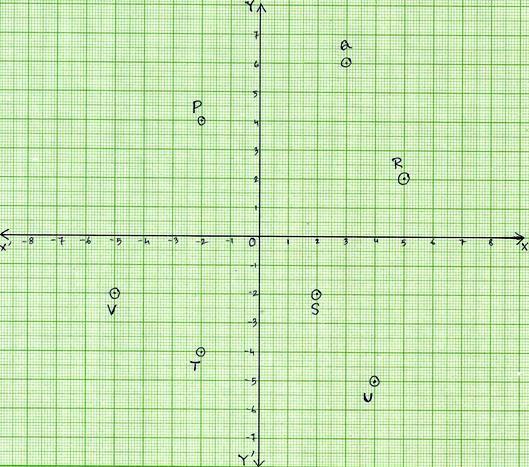 XOX' and YOY' are the co-ordinate axes. Find out the co-ordinate of points, P, Q, R, S, T, U and V. Also write abscissa and ordinate in each case. 6. Plot the point P (4, 0), Q (4, 4), R (0, 4). Now join OP, PQ, QR, OR. What figure do you get? 7. On which axis do the following points lie. 8. Write the following by observing the adjoining figure. 9. Write the co-ordinates of the points P, Q, R, S, T, U, V marked on the graph paper. Answers for the worksheet on coordinate point are given below to check the exact answers of the above questions to plot the points in the Cartesian plane.